Are you confused or unsure about your sexuality and sexual preference? Sexual Orientation Test is a sexuality quiz aimed at defining whether you are heterosexual, homosexual, or bisexual. 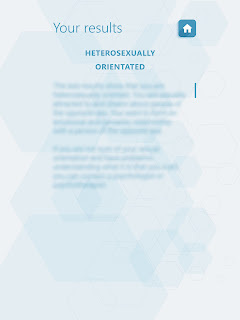 Many people don't know their sexual orientation, so test yourself and you will get the result indicating heterosexuality, homosexuality, and bisexuality.